When the Vietnam conflict broke out, the son went to war. He was very courageous and died in battle while rescuing another soldier. About a month later, just before Christmas, there was a knock at the door. A young man stood at the door with a large package in his hands.. He often talked about you, and your love for art.' The young man held out a package. He thanked the young man and offered to pay him for the picture..
'Oh, no sir, I could never repay what your son did for me. hanging the painting went above the fireplace, pushing aside thousands of dollars of paintings. And then the man sat in his chair and spent Christmas gazing at the gift he had been given. before he showed them any of the other great works he had collected. The art world was in high anticipation! According to the will of the old man, all of the art would be auctioned on Christmas day, the day he had received his greatest gift. to bid on some of the world’s most spectacular paintings. 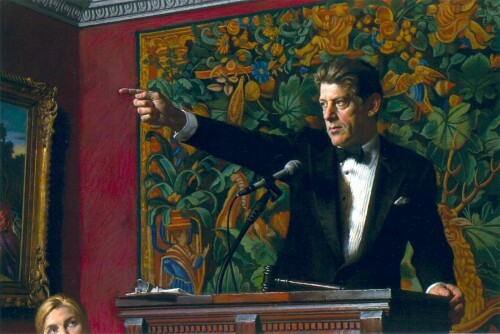 The auction began with a painting that was not on any museum’s list. 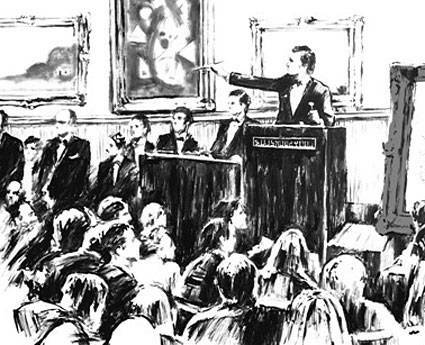 It was the painting of the man’s son.The auctioneer pounded his gavel. and asked for an opening bid. The room was silent. “Who will open the bidding with $100?” he asked. Minutes passed. No one spoke. “Who cares about that painting? It’s just a picture of his son. Then a voice in the back of the room shouted, 'We want to see the famous paintings. But the auctioneer persisted. 'Will somebody bid for this painting? Another voice angrily called out. 'We didn't come to see this painting. 'I'll give $10 for the painting. That’s all I have. I know the son, so I’d like to have it. They wanted the more worthy art work. “What do you mean it’s over? What about all of these paintings? There are millions of dollars of art here! I was told of a stipulation in the will... I was not allowed to reveal that stipulation until this time. 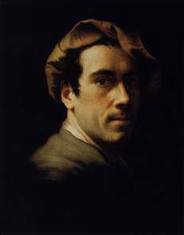 Whoever bought that painting would inherit the entire estate, including the paintings. whoever takes the Son gets everything. even to them that believe on His Name"
he told him that was all he wanted. the young man awaited signs that his father had purchased the car. his father called him into his private study. and told him how much he loved him. with the young man's name embossed in gold. "With all your money you give me a Bible?" He dropped it on the desk and stormed out of the house. and thought perhaps he should go visit him. and willed all of his possessions to his son. sadness and regret filled his heart. just as he had left it years ago. the same dealer who had the sports car he had desired. because we are not looking for eternal love? "My name is I AM."